Jane is currently pursuing a career in the environmental field after graduating with a Master of Science in Ecological Restoration. She is a fitness enthusiast who strives to encourage and motivate others to live a healthy and active lifestyle. 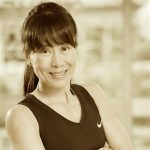 She has been involved in different activities and sports such as track and field, dragon boat, strength training, hot yoga, volleyball and more. Her goal is to create a fun and comfortable atmosphere in each spin class while you achieve your fitness goals. Zoe is a former high-performance athlete who competed for the Canadian National Team in the sport of Fencing. 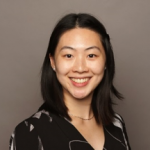 She is also a current 4th year Kinesiology student here at UBC. She loves to stay active through weightlifting, barre, yoga, hiking, running, and of course, cycling. Zoe brings a high-energy class with her charisma, intensity, motivation, and fun music. Zoe wants her clients to feel stronger, more confident, and energized after taking her spin classes. 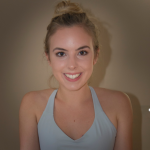 Although she is teaching a group fitness class, she makes sure she will give her time and attention to each client, to help them fulfill their fitness goals. Zoe strives to impact others in a way that makes them aspire to be the best version of themselves while creating a passion for fitness and health. Former gymnast, yoga lover, avid runner and hiker, Natasha loves to create a diverse class full of hills, sprints and interval drills. 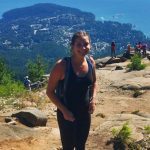 Natasha studied Kinesiology at UBC and has worked with the women’s rugby team, lead walking and fitness groups for those with chronic disabilities and has worked closely with the Department of Rehabilitation Science at UBC. 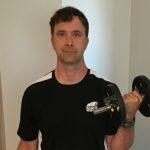 She has extensive experience with people of all abilities; from athletes to those with disabilities, making her knowledgable on how to adjust her exercise programs to fit the needs of each individual. Her classes are designed to make you stronger, work up a sweat and have fun!